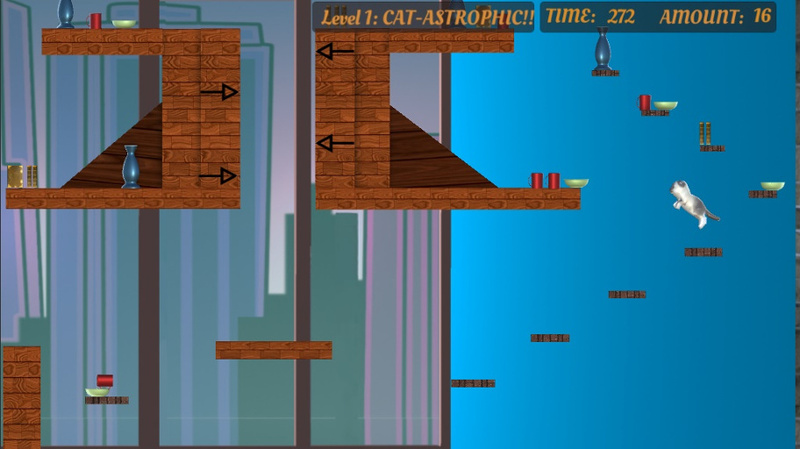 If you love silly platform games and personal high scores to beat then That Cat Doe is the game for you!! 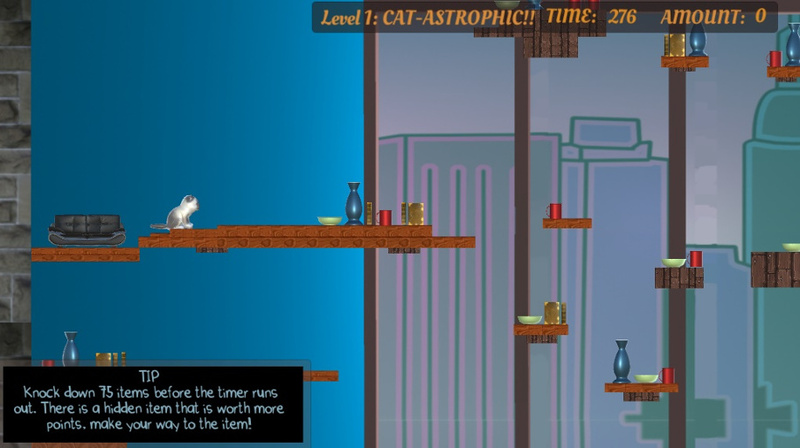 That Cat Doe is a fast paced 2D Platform game about a cat name Max who is addicted to knocking items off of tables and counters. He has learned to time his owner when she leaves to go do everyday human tasks. Once shes gone Max unleashes his crazy cat mayhem and knocks as much over as he can! This is the 1st level I have made for the game. 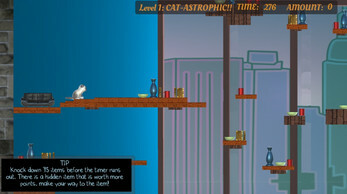 The level is Called Cat-astrohic. and its filled with many items and a few skill jumps! You have 5 mins to knock 75 items over before your owner comes home, if she returns before the items are collected you will get scold on the mess you have made! There is a bonus item that will give you a huge boost in the number of items knocked over. give it a go and let me know if anything new pops up that you feel should be fixed.